The seventh World Down’s Syndrome Day is approaching soon. 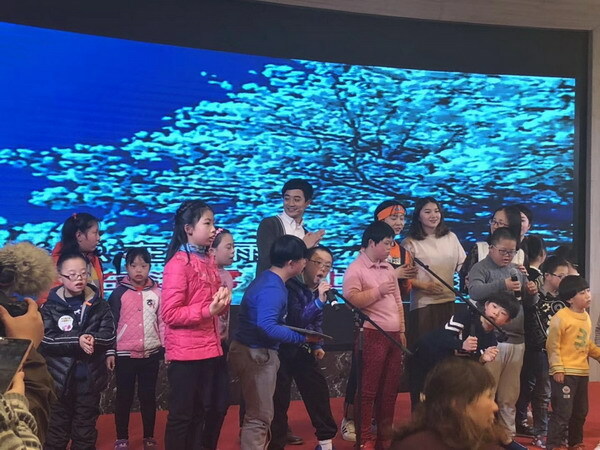 On the afternoon of March 17, more than 50 children with Down syndrome, accompanied by their parents gathered together at the Shanghai International Convention Center to participate in public welfare activities. The event was co-sponsored by Shanghai Soong Ching Ling Foundation and Shanghai Hope Star Public Welfare Development Center. 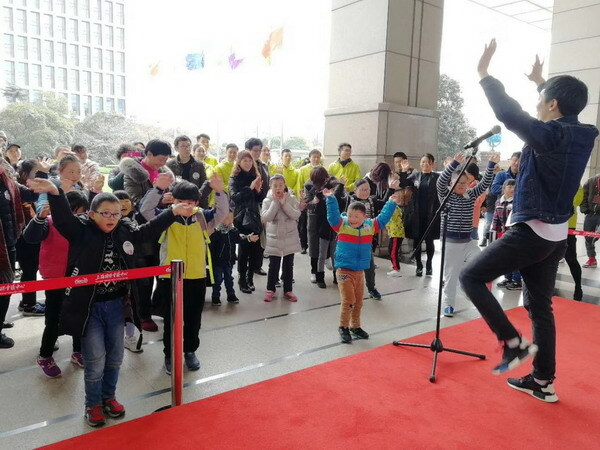 At the event scene, Shanghai Hope Star Public Welfare Development Center announced the launching of "Max Interstellar Course" -- the first online rehabilitation APP in China, combined with the offline "Hope Star Sun Hut" rehabilitation medical clinic. Down's syndrome is a neonatal disease caused by chromosomal abnormalities. The patient has obvious mental retardation, special face, growth and development retardation and multiple malformations. In 2011, the United Nations General Assembly formally named March 21 "the World Down's Syndrome Day", meaning the uniqueness of patients-with three pairs of chromosome 21. On this day of every year, Tang’s organizations around the world hold various forms of exchange activities to explore the upbringing experience of children with Down’s syndrome and call on the outside world to correctly treat the patients with Down syndrome. Shanghai Hope Star Public Welfare Development Center is established by SSCLF – Hope Star Special Fund, the first public welfare fund in mainland of China to serve the Tang children. 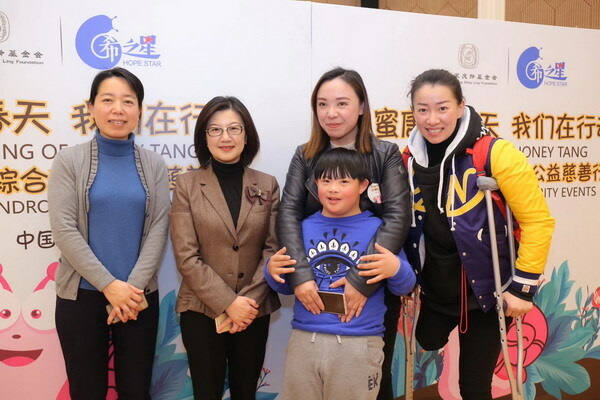 The Fund will be committed to various public welfare activities related to the Tang children, and help more Tang children to receive early rehabilitation and cognitive teaching through fundraising. 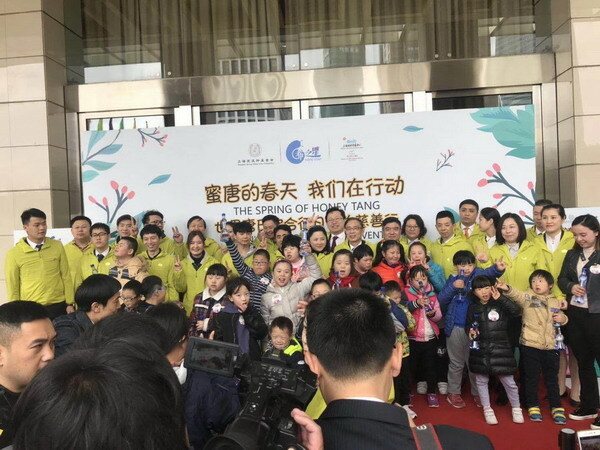 On the day of the event, the volunteers from Shanghai International Convention Center escorted Tang children to promenade along the riverside. 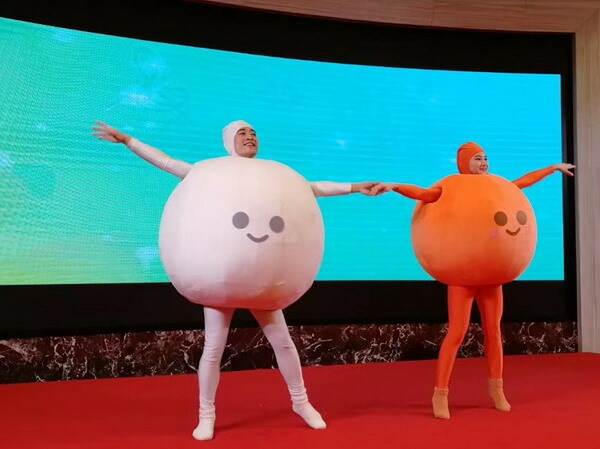 Everyone joyfully did health exercises, graffiti drawing and watched children's drama "Honey Tang Growth", so that more people understood this special group. Many caring people expressed their love for these special children through donations and other forms. All the Tang children who participated in the event were given an exquisite gift and snack from the event supporting party.